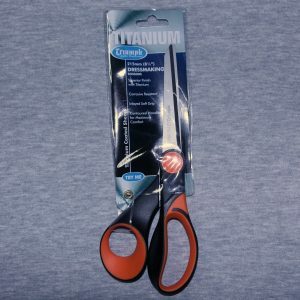 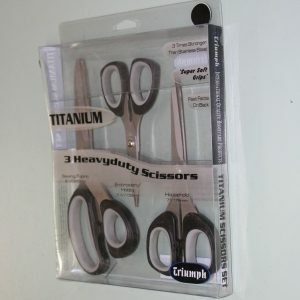 Black and orange handled titanium coated Triumph dressmaking shears. 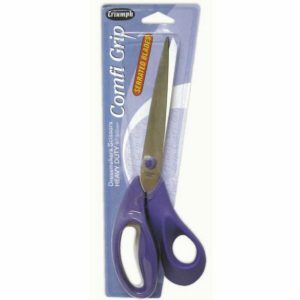 Handle is a contoured soft grip for comfort. 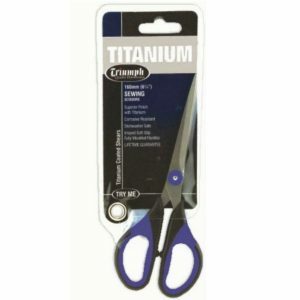 Corrosive resistant.